UP TO 50% OFF. NEVER SEEN BEFORE. 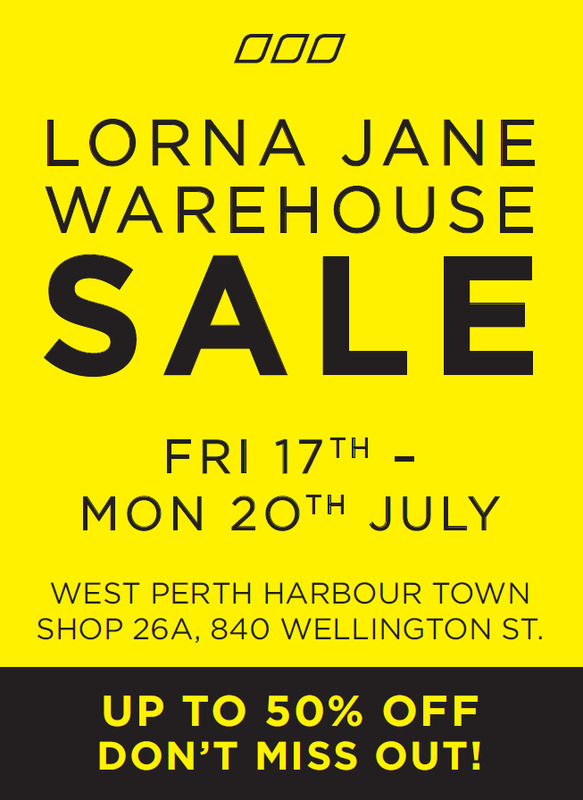 You asked for it PERTH - Lorna Jane is having a WAREHOUSE SALE! Be sure to check out this ONE TIME ONLY event. UP TO 50% OFF. NEVER DONE BEFORE. DON’T MISS OUT! 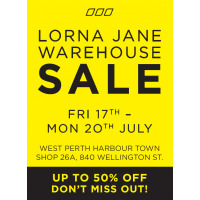 Kick start your active journey in the world’s leading activewear brand Lorna Jane, available at up to 50% OFF 4 days only.